Sean John Grabs Biggie Smalls, Aaliyah & More For "Gallery Collection" Shirts - Pop It Records - NEW MUSIC EVERYDAY! Sean John is gearing up to release a collection of all-white t-shirts that will feature a bevy of music industry icons, both alive and deceased. The brand's Spring/Summer 2018 outing is aptly titled "Gallery Collection Tee Shirts" and will feature the likes of Chaka Khan, Jimi Hendrix, Marvin Gaye, Aaliyah, P. Diddy, and rap icon Notorious B.I.G. They are pictured in portrait-style, and will be emblazoned on both the front and back of each garment. Jeff Tweedy, the brand's president, released a statement unveiling the contextual underpinnings behind the capsule collection. "Music has an unparalleled feeling that often times cannot be communicated through words; a feeling that transcends time and takes you back to where you were at that exact moment." Tweedy continues to note how "Sean John has recognized the influence that music has had on all facets of life since the brand launched in 1998. 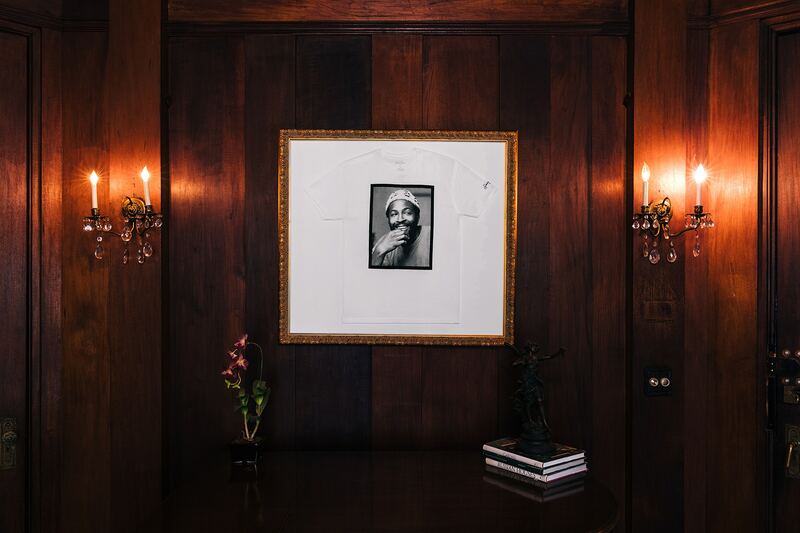 We chose to focus on some of the most famous names in music history for our Gallery Collection Tee Shirts: Chaka Kahn, Aaliyah, Marvin Gaye, Biggie Smalls, just to name a few. These performers have had such a profound impact on the music industry and as a “fashiontainment” brand, we felt that it was very important that we do our part in helping to shine a light on their legacy." Head on over to Macy's website to purchase a shirt for $39 USD.